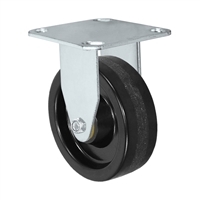 Phenolic caster wheels are recommended for smooth concrete floors and can be used for storage loads without permanent compression set to the wheel. 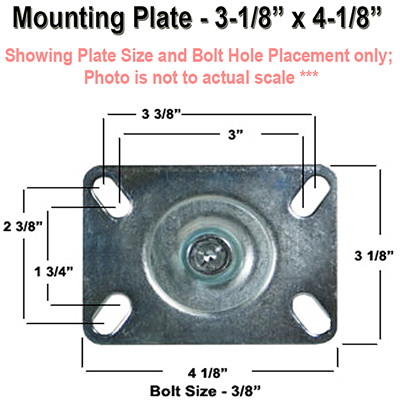 These phenolic wheels are highly resistant to oil, grease, gasoline and mild acids. 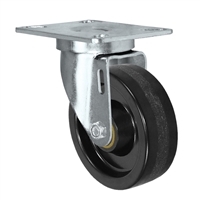 3-1/2" x 1-1/4" Rigid Caster | Phenolic Wheel | 350 lbs Capacity | Plate Size: 3-1/8" x 4-1/8"
4" x 1-1/4" Rigid Caster | Phenolic Wheel | 350 lbs Capacity | Plate Size: 3-1/8" x 4-1/8"
4" x 1-1/4" Swivel Caster | Phenolic Wheel | 350 lbs Capacity | Plate Size: 3-1/8" x 4-1/8"
5" x 1-1/4" Rigid Caster | Phenolic Wheel | 350 lbs Capacity | Plate Size: 3-1/8" x 4-1/8"
5" x 1-1/4" Swivel Caster | Phenolic Wheel | 350 lbs Capacity | Plate Size: 3-1/8" x 4-1/8"